A Coastal favorite! Birds of Paradise stand tall and pround in this arrangement. 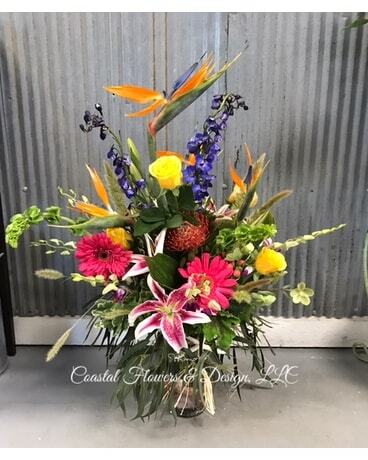 Protea, oriental lilies, gerber daisies, bells of Ireland, delphinium and premium greenery add the color and scent! Shells fill the bottom of the vase and it is finshed with a raffia bow!